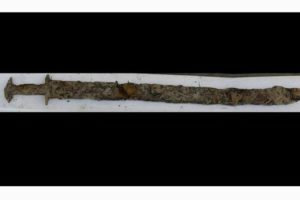 Probashbangla24 online Desk : An eight-year-old found a pre-Viking-era sword while swimming in a lake in Sweden during the summer. Saga Vanecek found the relic in the Vidöstern lake while at her family’s holiday home in Jönköping County, reports BBC. ‘It’s not every day that you step on a sword in the lake!’ Mikael Nordström from the museum said. ‘I felt something in the water and lifted it up. Then there was a handle and I went to tell my dad that it looked like a sword,’ Saga told the Sveriges Radio broadcaster. Saga’s father Andy Vanecek told the English-language website The Local he initially thought his daughter had found an unusual stick or branch in the water. 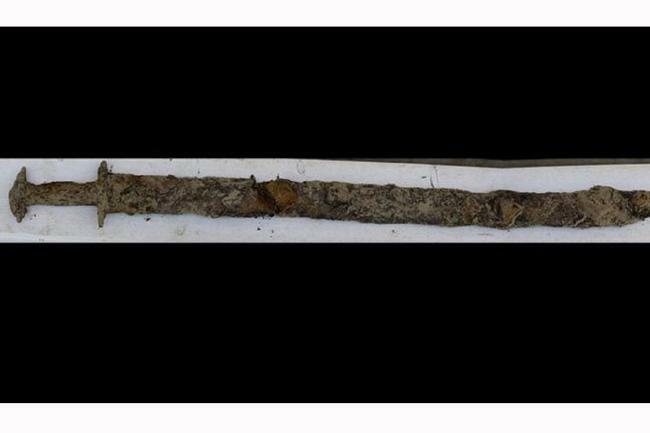 The local museum – which is now preserving the historic item – said the sword was extremely well-preserved. Saga’s discovery led the museum and local council to carry out further excavations at the site, finding a brooch from the 3rd Century.